Buddig wants you to make more than a sandwich this summer! 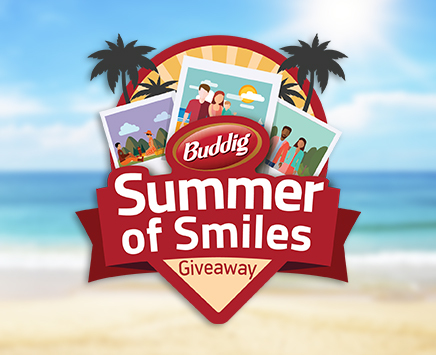 Make summer smiles and share on their Facebook page for your chance to win one of over 100 Visa Gift Cards worth $25 each! PRIZES: One-hundred and eight (108) Prizes: a $25 Visa e-gift card. This Sweepstakes ends on 08/18/16 and you can ENTER ONCE to win.